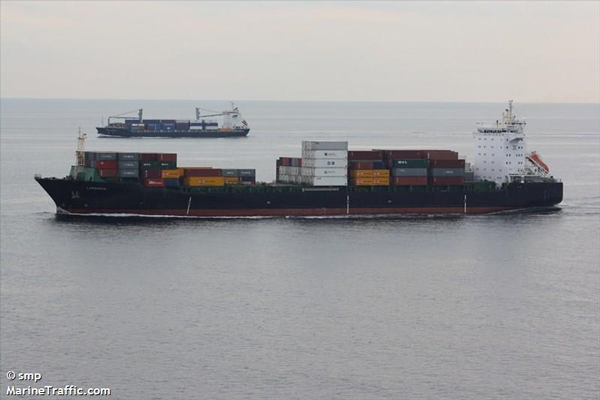 A cargo ship under investigation in a possible oil pollution case will be able to leave Unalaska, after its owner posted bond on Thursday. The 600-foot M/V Lindavia, owned by Herm. Dauelsberg of Germany, has been detained by the U.S. Coast Guard in Unalaska for the past two weeks. Kevin Feldis, with the U.S. Attorney’s Office in Anchorage, says the ship’s owner signed a security agreement with the Coast Guard to let them leave port. “Part of that agreement: they’ve posted a $500,000 bond that will be available for any potential future penalties or criminal fines,” Feldis says. The Lindavia can now take its seafood cargo onto its destination in Japan. But Feldis says some of the crew will stay behind in Alaska. The Lindavia was still anchored outside Dutch Harbor on Friday afternoon, with Coast Guard officers from the local marine safety detachment on board. Warrant Officer Dustin Overturf says he expects the ship will be able to leave town by Saturday. Feldis’ office just wrapped up another one of those on Friday. A different German company, AML Ship Management, entered an official guilty plea for oil pollution crimes after signing a plea dealearlier this month.